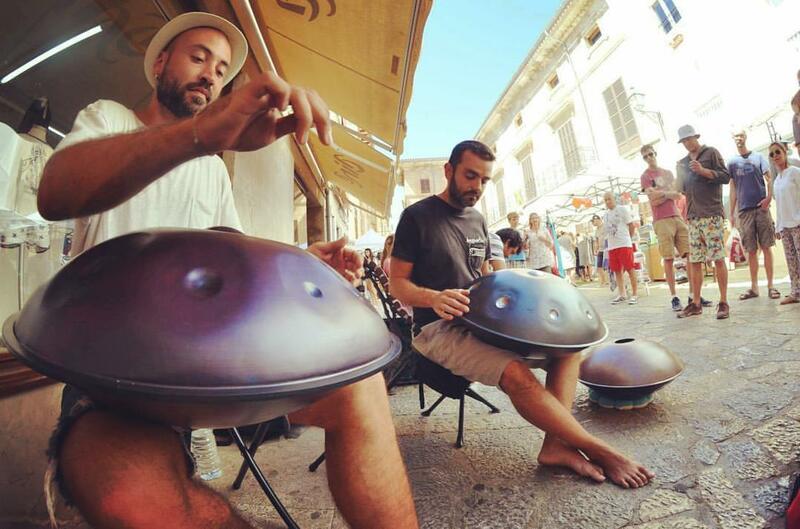 Sergio is a handpan street musician in Mallorca for six years. Since May 2016 Sergio plays together with Jordi Cantos who plays for five years now. 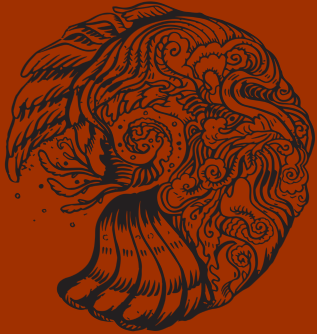 They compose their own songs which they play on several places around the beautiful island. 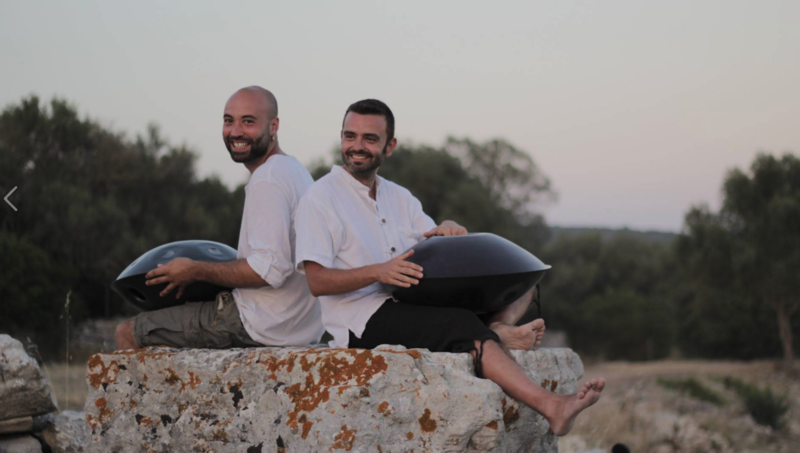 Together with Jesse they help to develop instruments which are needed to have more freedom in composing songs. At the moment they are recording an album of there songs produced by Jesse. In his free time, Jean-Matthieu is a passionate handpan player from France who discovered these magical instruments in 2014. 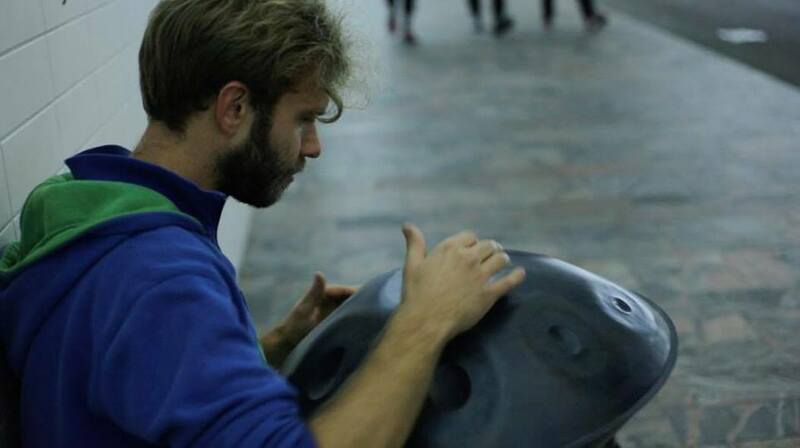 Since then, he regularly plays in public and takes part in various artistic projects with people met along the way. 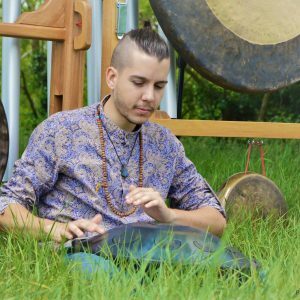 One day he stumbled on the sound of a very specific F major Pentatonic Godan handpan created by Jesse Smits and entered in contact with him. Being deeply interested in all aspects of building and creation process of these sound sculptures they got to know each other through this common passion. Jean-Matthieu composes his songs mostly by letting his feelings and mind speaks to his hands. 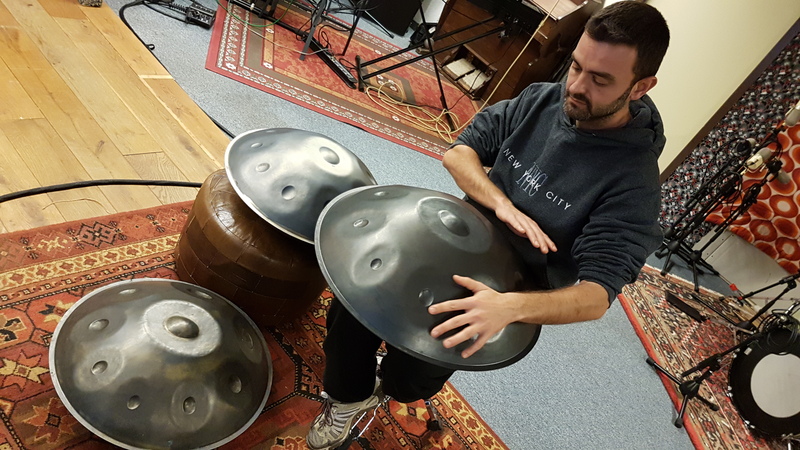 Filippo from Italy, Musician and Suonoterapeuta studies and plays with various vibrational instruments including the handpan to amplify the emotions of the listener and helping them regain their wellbeing.